Employee engagement is vital for any successful business, but when one in four employees lies on engagement surveys -- and that's just the percentage who own up to it -- how can you uncover checked-out workers? A survey from Rapt Media (registration required for survey) of 400 full-time employees working at large organizations reports that 69 percent of employees are "open to other opportunities or already seeking their next jobs." And if that news has you scrambling to figure out engagement-levels within in your own office, know that one in four employees also admitted to "fibbing or outright lying" on employee engagement surveys. That means you'll need to get serious about engaging employees and fostering an environment where workers feel comfortable voicing their concerns. 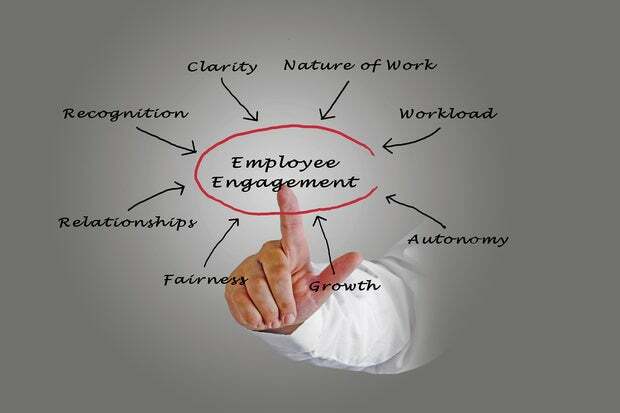 Engagement isn't just in the hands of employees. Businesses are just as responsible for fostering engagement as employees are responsible for staying productive and on task. "Employee engagement comes down to companies showing employees they genuinely care about them and creating a culture that supports them, challenges them and empowers them," says Tom Gimbel, founder and CEO of Lasalle Network, a recruiting and staffing agency in Chicago. Your worker's engagement doesn't just affect their productivity, it's dangerous when employees become "indifferent" about their work, says Erika Trautman, CEO of Rapt Media. Disengaged employees can influence those around them, creating a toxic work environment that poisons everyone. Your disengaged employees are also the ones who typically don't go above and beyond, or who might make a mistake and simply ignore reporting it, says Gimbel. "Disengaged employees can affect an organization like a virus, poisoning the culture and wreaking disastrous results. Many of them are actively seeking new jobs and will quickly depart for a better offer. But the real damage occurs while they're still employed," says Trautman. That toxic attitude can also seep into and affect customer and client relations, as well, says Gimbel. If your workers are so checked out they don't particularly care about customer service or getting to know clients, that could force potential business over to a competitor. But figuring out just how engaged your workforce is won't be easy. Trautman says the first step is to ditch the employee engagement survey all together. It won't give you a clear understanding of engagement in your office. Instead, she suggests holding focus groups with employees for in-person feedback. "Rather than relying on an online survey or assessment, invest the time and resources to hold a series of employee focus groups and one-on-one interviews, preferably led by a third-party expert. If employees have the opportunity to give anonymous feedback in a conversational setting, many will provide their candid and honest input," she says. Instead of a faceless survey -- get personal with your workers. If you want engaged workers, your managers and business leaders need to actually put some effort into actually engaging them, and a faceless, online survey certainly doesn't feel personal. 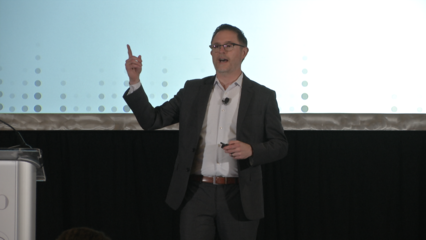 "Once an employee trusts [management], they can have that open dialogue and communication. If managers get to know staff personally, they will know if they're going through something and not just assume they're unhappy in their role," says Gimbel. But listening and understanding aren't enough to curb disengagement. You need to actually follow up, he says. Gaining their trust and fostering an open environment for feedback is certainly a vital step, but once an employee tells you they're overwhelmed or experiencing stress, you should be ready to help them build a plan. Gimbel says that if you don't act on the employee's honesty, they'll be less likely to come to you again in the future, and more likely to quit. Engagement starts at the top and works its way down the totem pole -- through executives, management, all the way down to entry-level employees. The higher you are on the ladder, the more responsibility you have to set a strong precedent for what you want engagement to look like at your company. But, that doesn't seem to be the case everywhere, with 57 percent of respondents reporting they feel their leaders are "detached from the workforce." And it's hard to imagine anything more detached than a generic survey sent out in a company-wide mass email. "When employees feel their supervisors or leaders are disengaged from them, they're more likely to feel undervalued and underappreciated. And we know that when employees feel a lack of appreciation and recognition, they very quickly become disengaged -- and are often one foot out the door," says Trautman. At the management level, Gimbel says that leaders need to work to get to know their employees on a professionally personal level. If employees feel comfortable with management, they are more likely to express any problems they might be having before submitting their two-weeks notice. One suggestion Trautman offers is to gamify your engagement efforts -- whether through fun team building exercises, company outings or even by bringing in a third-party service to run and host a company-wide event focused on engagement. Rapt Media specializes in video gamification of engagement, citing one successful project at Deloitte, where they created a gamified recruitment video. "Deloitte created a choose-you- own-adventure, immersive, gamified experience that revealed their company culture and work environment by inviting recruits in to experience "a day in the life at Deloitte" to see if they would "fit in." This interactive video was a re-imagining of the traditional corporate recruiting video and got stellar viewership and feedback," she says. Trautman points out how one bad tweet can expose an entire company if it gains traction. She notes that in these cases the "aftermath is fairly brutal." Your employee engagement is tied to your company's reputation -- happier employees are more likely to recommend the company to a friend, or write positive reviews on Glassdoor. And if you can build engagement into the culture -- through whatever means works best for your company -- you can succeed in boosting your employee happiness and public image. "Given today's ease of information-sharing through social media and web content, it's more important than ever to drive employee satisfaction and a positive workplace culture influenced by gratitude," she says.